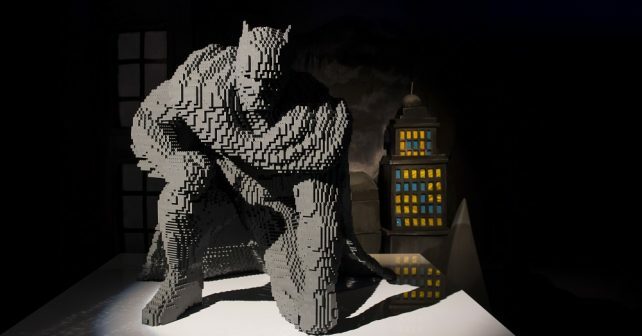 Superhero fans, artist Nathan Sawaya is in London with the world’s biggest LEGO exhibition. The Art Of The Brick: DC Super Heroes makes its London debut in March at a purpose-built space at the South Bank. Big kids – and small ones – will be able to get up close and personal to Batman, Superman, Wonderwoman and The Joker. If that’s not enough you’ll also be able to pose next to a lifesize 5.5m replica of the Batmobile, made with half a million plastic bricks! All in all, the show features 120 works inspired by DC’s Justice League using more than two MILLION LEGO pieces! Lawyer-turned-artist Sawaya explained how he got into making the shapes. “As a kid I spent Saturday mornings sitting on the floor playing with LEGO and watching the DC Super Friends cartoons,” he says. “I would imagine the people in my LEGO city would have super powers and could defeat any evil nemesis – which usually meant my sister’s dolls. 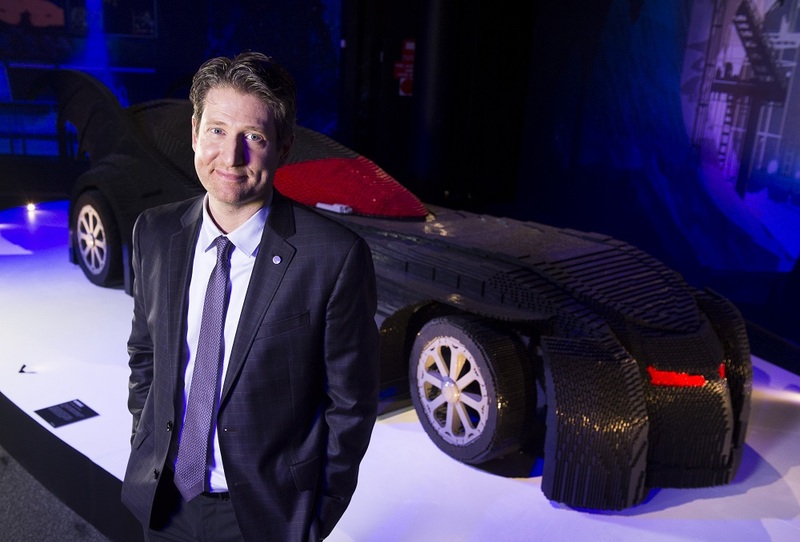 So this new collection of artwork is a dream come true for me.” Artist Nathan Sawaya in front of his life sized Batmobile! March 1st – September 3rd.The Art of the Brick: DC Super Heroes London’s South Bank, Doon Street Car Park Upper Ground, SE1.